Is Building Your Own Shed Worth It? 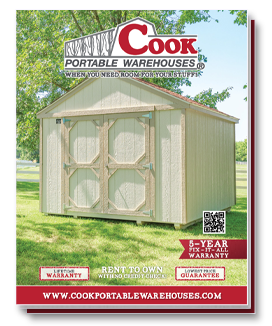 Where is the Best Location for my New Storage Shed? Guide to Hosting the Holidays...in Your Shed! Which Cook Building is Right for you? What is the Best Way to Safely Store my Household Appliances? What are the Benefits of Buying a Pre-Owned Shed? Can a Storage Shed Increase the Value of my Home? Self-Storage Units vs. Portable Warehouses: Which is the Better Deal? Why are Things Inside my Shed Getting Wet? What Should I do Before my Shed is Delivered?